What is the difference between speech and language? When working in the school setting that was a question that came up multiple times every school year. Many parents and teachers do not know the difference between speech and language and often have trouble when referring students. I am going to make this post short and sweet. 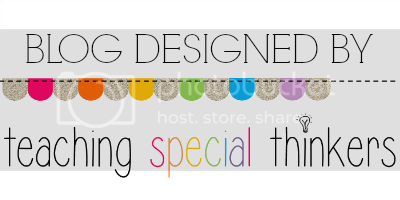 Instead of going into great detail (you would still be reading this post tomorrow!) I am going to give you the basics regarding speech and language disorders. Hopefully this post will clear the muddy waters and help you in the future. 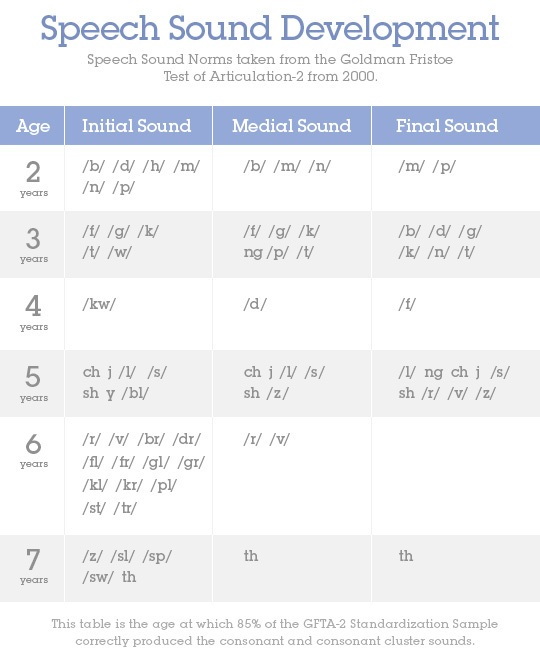 This term refers to students that have trouble producing speech sounds, or articulation. For example, a student may produce the word rainbow as "wainbow" or cat as "dat." Most children make some mistakes when they are young and learning letter names and sounds. It becomes an issue when it the speech error persists past a certain age. If you have concerns regarding your child or student's articulation of sounds, you are concerned with their speech. You may notice their speech affects their reading, writing, and or spelling. These are all good reasons to seek out the professional opinion of a speech language pathologist. 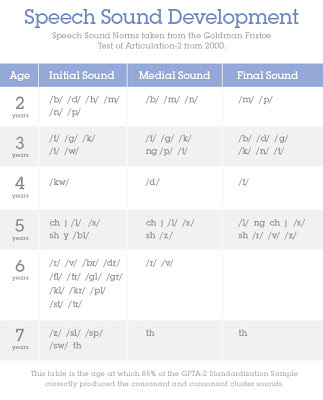 Below is a great chart I found on Mommy Speech Therapy Blog that indicates what age certain sounds develop. A language disorder has nothing to do with the way a student produces speech sounds when communicating. If a child has a language disorder, they have difficulty demonstrating age appropriate skills. This may include, but is not limited to, vocabulary, following directions, comprehension of verbal and/or written information, understanding questions, answering questions, and expressing their ideas clearly. The American Speech Language Hearing Association is a great reference site to visit if you have deeper questions regarding speech and language disorders. The speech language pathologist at your school is also a great reference for any speech/language/academic concerns you may have for a student.